Here are a few of the incredible people, fascinating expeditions, and events that use Forty Below® products, from around the world. 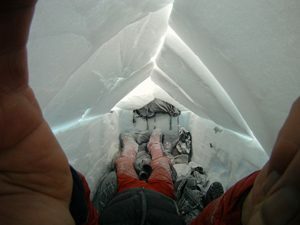 On this page we showcase the people and the expeditions so you can find out about some really unique, and in many cases, charitable and scientific explorations. 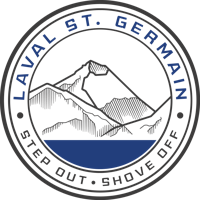 Laval will ski solo to the South Pole and then ski descent of Mt. Vinson! He will be using the Forty Below Fresh Tracks overboots. In the 21st century, the conquest of the poles remains a challenge, not only physical, but mental too. This fact has led us to promote the world´s first expedition with these characteristics to the North Pole. For 2 months, the expedition will travel over 200 km on the Arctic ice cap. This is the first time in history that an expedition made up of a team, among which are disabled people, tries to reach the North Pole on its own and without outside help, exploring the unknown North Pole seabed. However, our project is much more than a sporting and social challenge. We will conduct scientific experiments in the field, backed by some of the most prestigious Spanish scientist in the field of polar research. Moreover we will develop educational activities for students throughout the country. From Cordoba (Spain), 37 years old. Professional diver, underwater photographer, specializes in ice-diving and underwater exploration, Arctic and Antarctic. 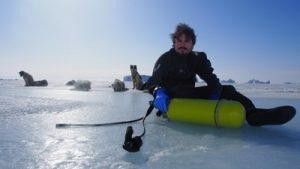 Paco has led the first “Underwater World Tour” for the past two years and the submarine expedition “Witness Meltdown”, during which he conducted an environmental study and the recording of a documentary on the melting and its impact on the last inhabitants of the Arctic. During the expedition: Will be responsible for directing and coordinating underwater explorations, to plan the progression on the ice, the maintenance of diving equipment, filming on the surface and underwater photography. They will be using the Forty Below Fresh Tracks overboots. On 27th Oct 1915 Shackleton’s ship the Endurance, trapped in sea ice for 9 months, was finally crushed and abandoned, ending the expedition’s hopes and sparking the greatest survival story of all time. Exactly 100 years on, Stew Edge and Devon McDiarmid,a British and Canadian team, will commemorate Shackleton’s attempt to cross Antarctica, reviving the spirit of the Endurance and complete a crossing from the Weddell Coast to the South Pole and back again. The expedition will see sledges pulled 1,300 miles over 60 days in the world’s most extreme conditions. The team can expect temperatures of -40°C and winds of 100 mph, crossing dangerous crevasse fields and mountain ranges. It will be one of the of the longest journeys ever attempted on foot and be an epic undertaking. The team will be skiing to the Pole hoping to average 16 Miles a day for 40 days. On the return leg to the Coast the team plan to use kites to speed up their travel, in place of Husky dogs used 100 years ago. They expect to take up to 20 days to kite back from the Pole covering 40 miles a day. They will be using the Forty Below Fresh Tracks overboots and the new 40 Below PoleMitts on the expedition! NEW LAND 2013 EXPEDITION WILL DOCUMENT ELLESMERE ISLAND In March 2013, American John Huston and Norwegian Toby Thorleifsson did the “New Land 2013 Ellesmere Island Expedition”, a 72-day journey across 630 miles of one of the last untouched wildernesses on Earth, the Canadian Arctic. With sled dogs and on skis, the four-man party they retraced historic expedition routes of Norwegian Otto Sverdrup (1854-1930), who led a team of 17 men between 1898 and 1902 in discovering and mapping more than 150,000 square kilometers of Ellesmere Island, the northernmost landmass of North America. They used the Forty Below Fresh Tracks overboots. This project is the story of finding your way. It is the culmination of years of hard work, many thousands of miles, dozens of freezing showers and nights spent in the dirt. Along the way, the guys made week long stops in each passing country in order to volunteer their efforts in aiding communities in need, participating in environmental conservation projects, and simply becoming involved with organizations taking action toward making the world a better place while positively impacting lives on a personal level. BETWEEN THE PEAKS will demonstrate how to see the world outside of self. It’s a lesson on how to have adventure with an impact. On how to make a difference in others lives as well as your own. And how to have a blast in the process. We have hours upon hours of footage from our journey, with more to add in the eventual conquest of Denali, and post-production has begun. The Between The Peaks movie is set to release in 2014. UPDATE JANUARY 2015 CONGRATULATIONS LONNIE ON YOUR SUCCESSFUL ACCOMPLISHMENT OF YOUR GOAL!! Cops on Top has a strong commitment to provide tangible aid for the grieving and healing process of those who have lost a beloved officer, to support organizations dedicated to this cause, and to project a positive image of law enforcement officers. We honor, and raise awareness, for police officers who have been killed while protecting and serving their communities. Cops on Top plans annual climbing expeditions to the world’s most respected mountains. The purpose is to bring to the public’s attention the dangers, stress and life-altering effects on the average police officer. A fallen officer’s memory serves as our banner and a memorial is placed on each summit attempted. The Cops on Top team is comprised of volunteer climbers, largely self-funded law enforcement officers. Volunteers are welcome to contact Cops on Top. The fallen officers on whose behalf the climbs are undertaken are nominated by family, friends, and law enforcement organizations. Your overboots on the summit of Aconcagua on January 25, 2012 for the Cops on Top Officer Jonathan Schmidt Aconcagua Memorial Expedition. Expedition Leader Troy Bacon (pictured left) is wearing your product! They were great!!! Ever want to ski in the Middle east? The tallest peak in the Middle East is Mt. Damavand is 5,671 meters tall, and home of “Middle East Powder”. The Forty Below Fresh Tracks overboots were used on a trip by some British skiers in 2011. Check out John Roberts in his blog: http://jr-climbing.blogspot.com/2011/04/iran-and-success-on-mt-damavand.html for a really fascinating account! Sean uses our overboots over his snowboarding boots, and our Forty Below ® Bottle Boots™ for his water bottles and insulin kit. Congratulations to Kit DesLauriers of Jackson Hole, WY as the first person to ski all seven summits! See her website for more details: www.kitdski.com Used Forty Below overboots! 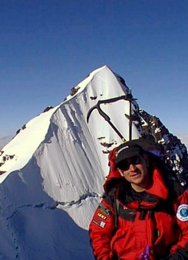 Fredrik Strang of Sweden set a Guiness Record on shortest time to climb all seven summits! See his website for more details: www.strang.se He used our K2 Superlight overboots. Martin Letzter and Olaf Sundstrom of Sweden ski the North face of Everest, and recently climb and ski all seven summits in a unique style! Check out their site for more details: www.se7ensummits.com The team used Forty Below Camp Booties, Bottle Boots, and overboots. Kyle used our camp booties on his attempt to set a new World Record for Longest Solo Kayak Journey by paddling the entire length of the Missouri – Mississippi River the fourth longest river system in the world. He will complete his expedition with an additional 200 mile paddle along the coast to Fort Walton Beach, Florida. Additionally, Kyle has partnered with Adventurers and Scientists for Conservation to survey the largest watershed in the United States for microplastics contamination from its headwaters to the ocean. This will be the first documented freshwater survey of this scale. 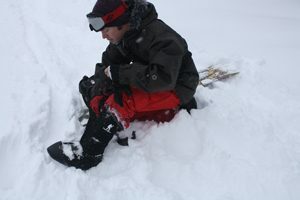 Please check out his website at www.kylepatry.com/about Kyle is used our 40 Below synthetic insulated Camp Booties! Please also see our Forty Below website Photo Gallery to see many more interesting people and places Forty Below® gear in use!